Ir 64 Non Basmati Rice Supplier In India - Get Best Price! 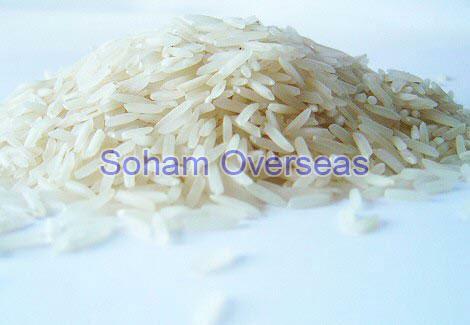 For acquiring the best-in-class IR 64 non basmati rice, Soham Overseas is the name to be trusted blindly. Our offered IR 64 non basmati rice is well-embraced for its quick cooking, fine aroma, rich taste, nutritional values, authenticity, and reasonable pricing. We store it in a well-organized and well-maintained warehouse so that the quality does not get hampered. Denoted as a reputable IR 64 non basmati rice supplier in India, we never compromise on the quality and follow the ethical business policies for maximising the client satisfaction quotient. We offer this assortment in a tamper-proof packaging to avoid the chances of mishandling during the transit.